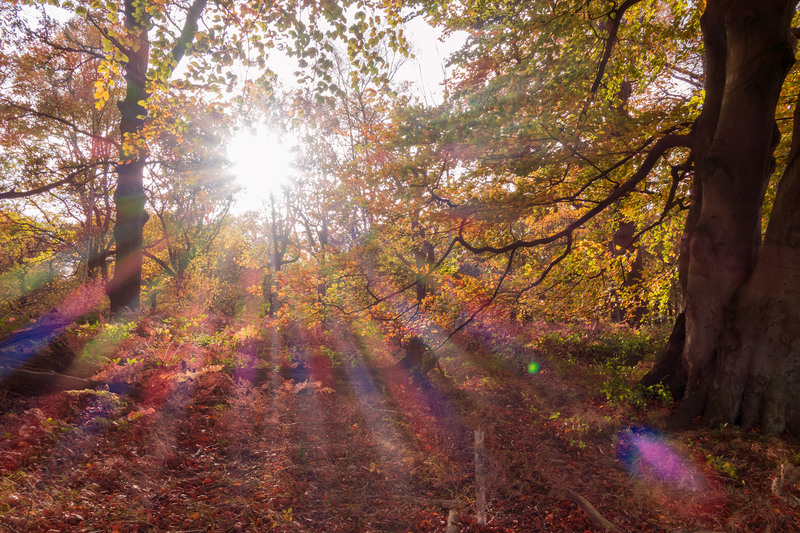 Guest blog: London has so many wonderful parks, that it’s very hard to pick one when you are in the mood for a day unplugged and a perfect walk taking in nature’s beauty. But why is Richmond park so amazing? You can make friends with the deer! 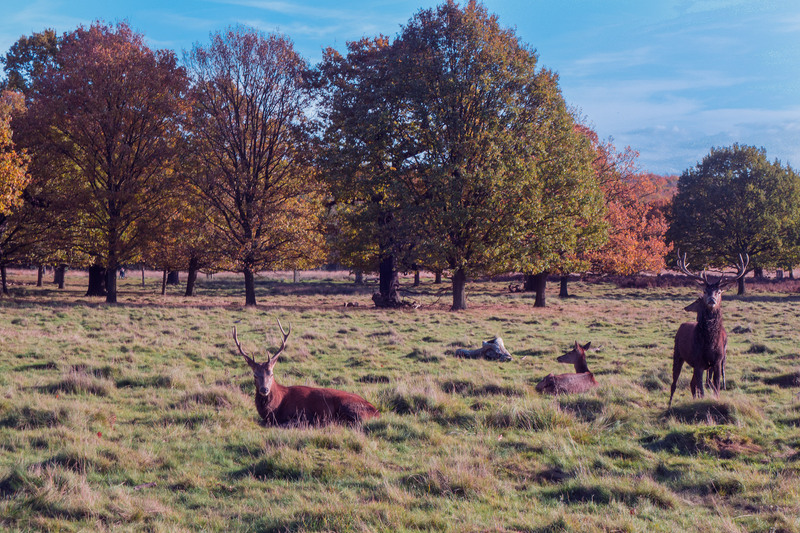 When I saw photos from Richmond park, I honestly couldn’t believe my eyes – yes, there are lots of deer there and they run free around the park! Be careful, though, don’t get too close to them for your own safety (even though I was very curious, I stayed away). In reality, staying at least 50 meters away from the deer is actually good for their own safety too, as you might interfere with rutting season. Even driving to reach the parking, you’ll see the deer all around the road and they are usually in herds. It’s funny, if there is no one else around and you walk past them, they will all be staring at you. There are over 1,000 deer in all of London’s parks, but the majority are found in Richmond park. Even though you can’t pet these gorgeous creatures, you can actually adopt a deer for as little as 25 GBP. You’ll get a certificate and you will also help the park It’s a win-win! 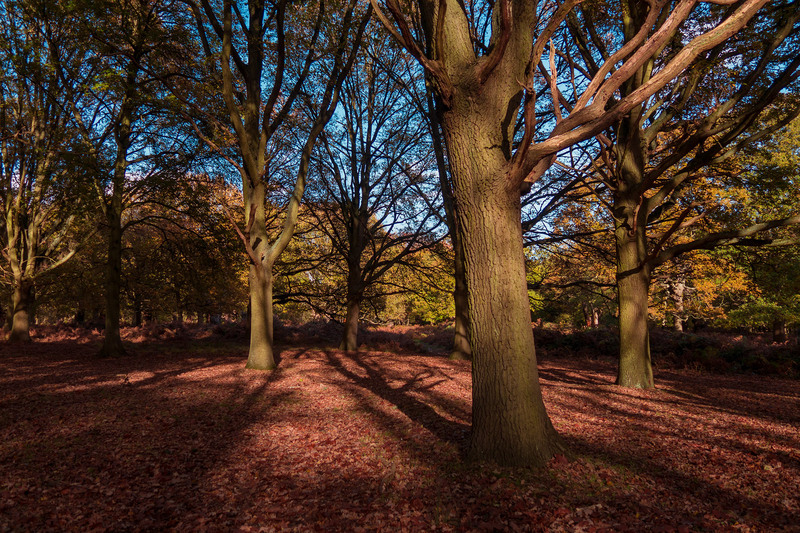 Richmond park is about 10 square kilometers, making it one of London’s largest parks. It’s so vast, it can take you many hours to walk around it. But what I find most fun is that every time you go, there is always something new to explore and there is always a hidden corner of Richmond park that will surprise and astound you. 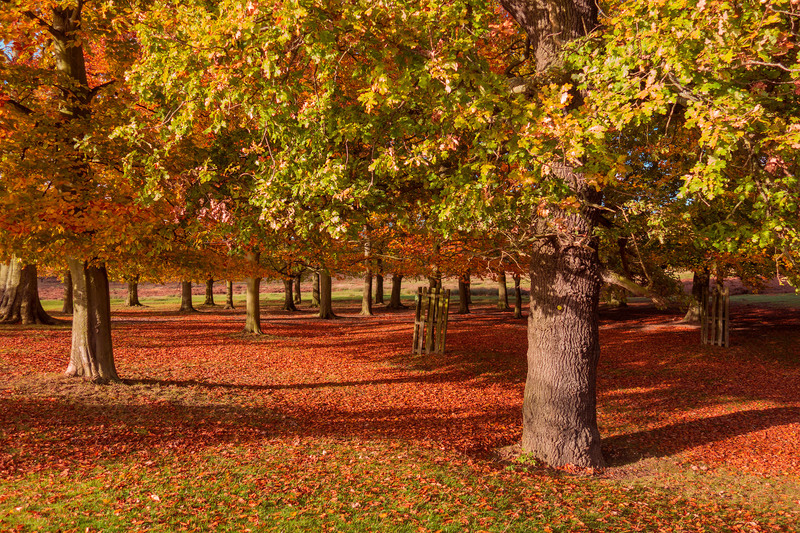 Richmond park offers so much to do! 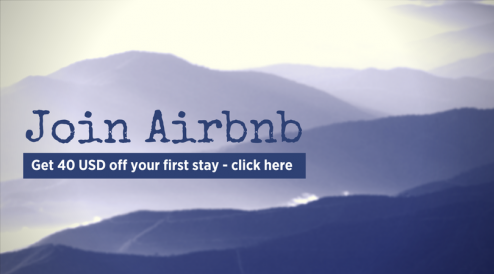 Hire a bike, ride a horse, play rugby and even golf! If you are the sportsy active type, this is definitely a reason to fall in love with the park. If you’re in the mood for a leisurely afternoon, you can book a horse carriage ride. The great part is that it is never crowded! I don’t think I had seen such amazing trees before. I took a few too many shots of them while visiting Richmond park, they are so photogenic and enjoyable. In addition, the park is house to over 144 types of birds, 11 bat species, many rabbits, foxes, as well as rare insects. If you decide to visit in the spring time, you will also enjoy a huge variety of beautiful wildflowers. While Richmond park is not very close to the city center, it is not far at all! If you catch the District line from St James’ Park to Richmond and hop on a bus, it will take you a total of 50-60 minutes. You will certainly be away from all the noise, business and pollution of the city. 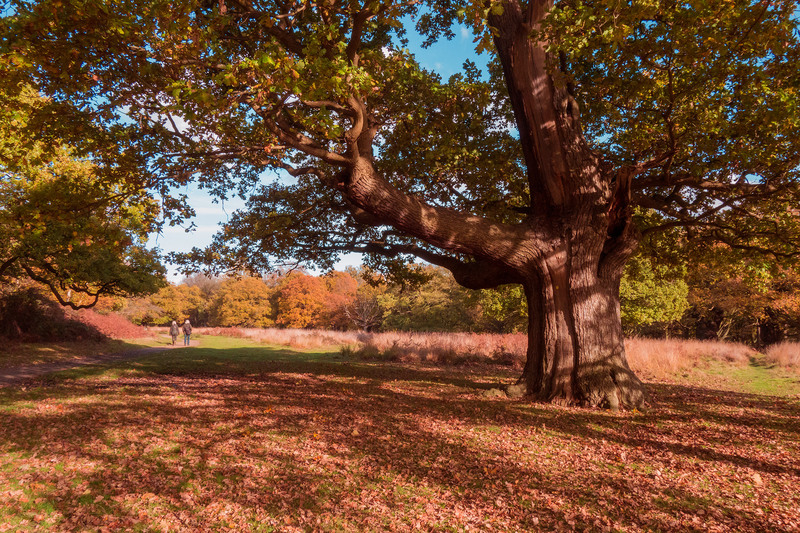 Richmond park is just perfect for an afternoon picnic during spring and summer! This article was written by Rosie Kerrigan. Visit her travel blog to read more of her articles and follow her on Instagram for more of her amazing photography!